Dimensions: 3.5" x 2.5" x 0.5". The activation pin is connected to a wrist strap and when the pin is removed the alarm sounds at an ear piercing 130db. 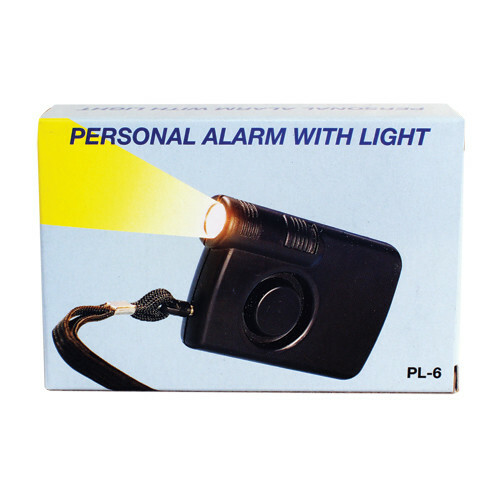 The alarm is also equipped with a flashlight, useful for dark parking lots or when entering a dark building. Perfect for real estate agents, night-shift employees and even children!